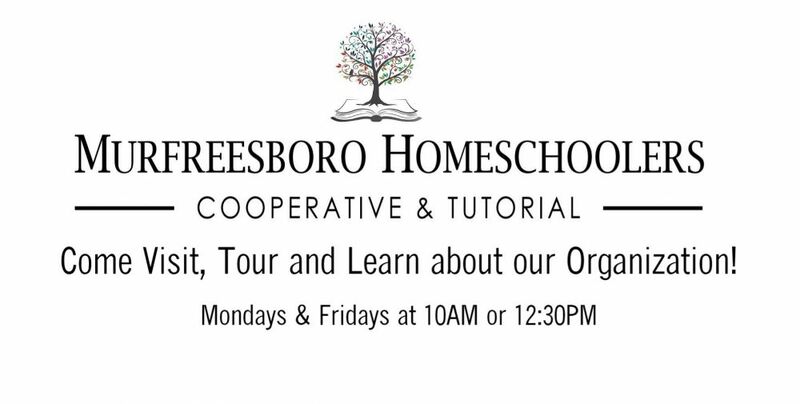 Come see if Murfreesboro Homeschoolers is a great fit for your family! Throughout the months of April and May we welcome New and Perspective families the opportunity to visit MHS in session. During this visit, you will see our wonderful accommodations at The Boys and Girls Club of Rutherford County. You will have the opportunity to meet some of the leaders of our organization as well as families who have enjoyed our community for the last several years. Come ask them your questions about homeschooling, our organization and how our educational opportunities compliment parents in their homeschooling efforts. We look forward to sharing how our hybrid cooperative and tutorial organization can help with your homeschooling journey. Children are welcome as always!